Heat a large, flat soup pan or skillet over a medium heat. Add the butter or margarine. Stir-in the onions and garlic. Cook them for a few minutes until they begin to brown. Add the mushrooms, sea salt and black pepper and give a few stirs. 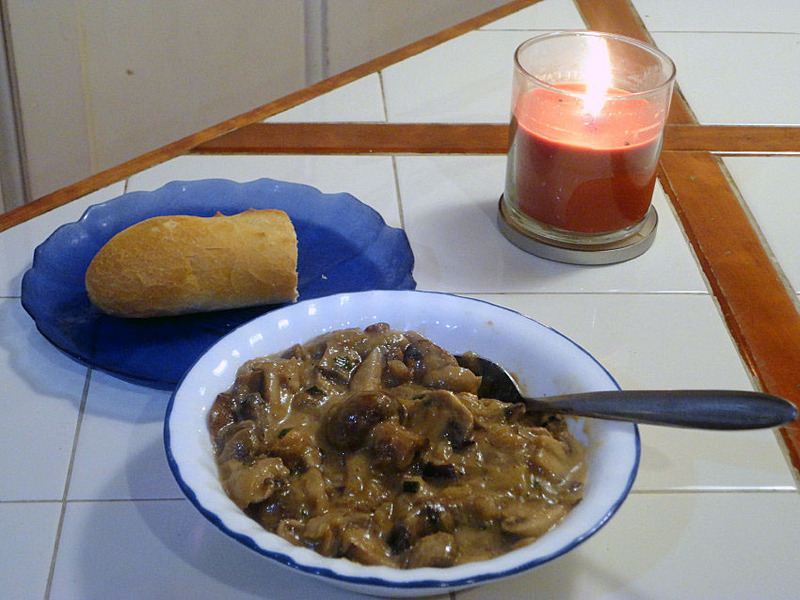 Continue to cook the mixture until the moisture released by the mushrooms evaporates. Add the wine or stock as well as the heavy cream or coconut milk and stir. Simmer for a few minutes to thicken and add in the thyme leaves and green onions. And there you have it! Delicious, healthy, and filling…perfect for chilly weather but good anytime!